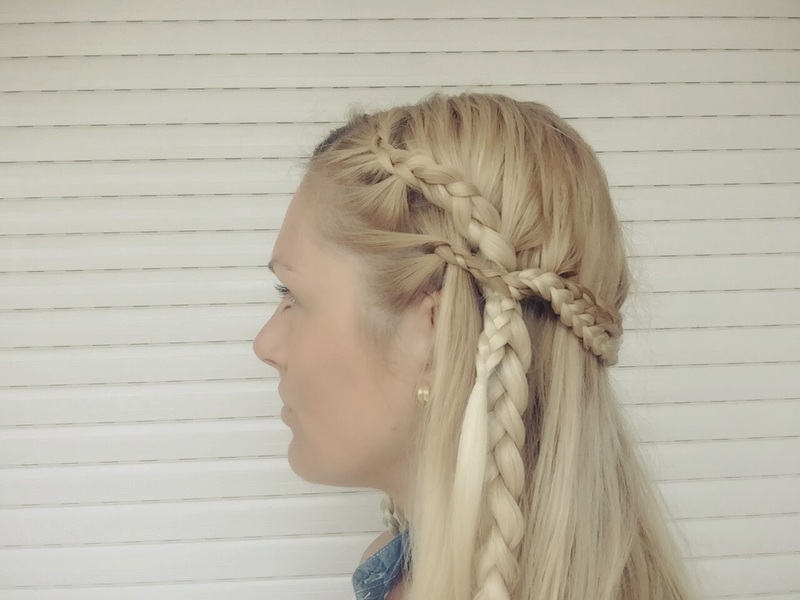 As the fifth season of Game of Thrones makes its enormous debut this weekend after what seemed like an eternity of a wait, I thought I would give a hairstyle tribute to Daenerys Targaryen and her beautiful braided golden locks. 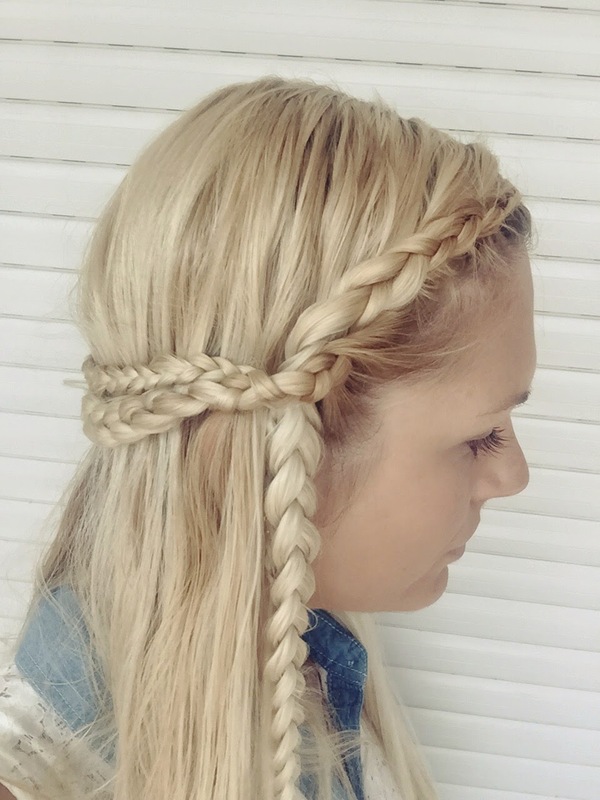 I first created a natural part in my hair and did a small french braid on either side, each time incorporating hair from the front and back, to create a braid that would follow along the curve of my head. 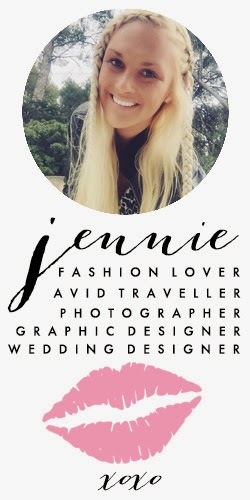 Once I reached the hair around my ear level, I stopped incorporating new hair and followed through with a normal braid. I recently bought a jumbo box of see-through elastics that I absolutely LOVE. 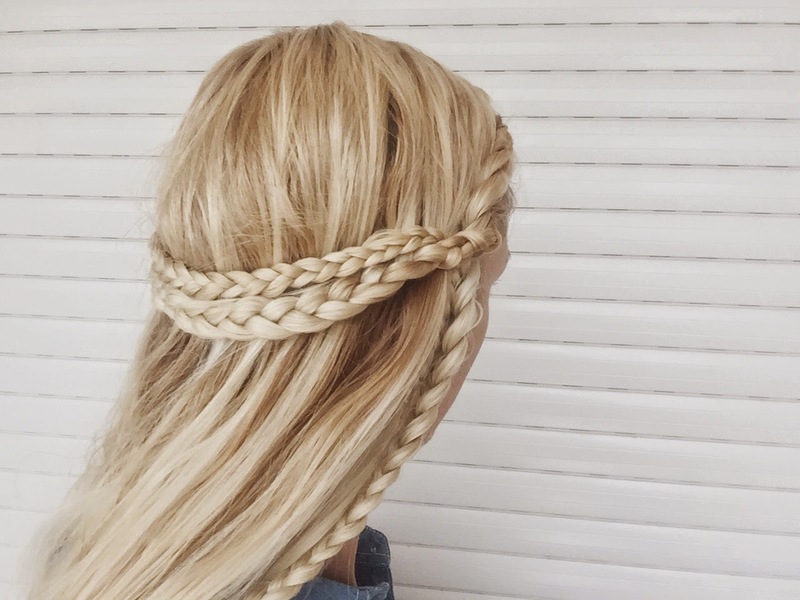 Finish off each braid with one of these! Then, with the hair remaining around my ears (think Legolas braids here), I created a small braid on each side that would overlap the initial braids, (giving me the opportunity to create the braided halo in the back). My hair was not long enough, so I incorporated a little hair from behind the initial french braids to make this braid long, as to create the halo. 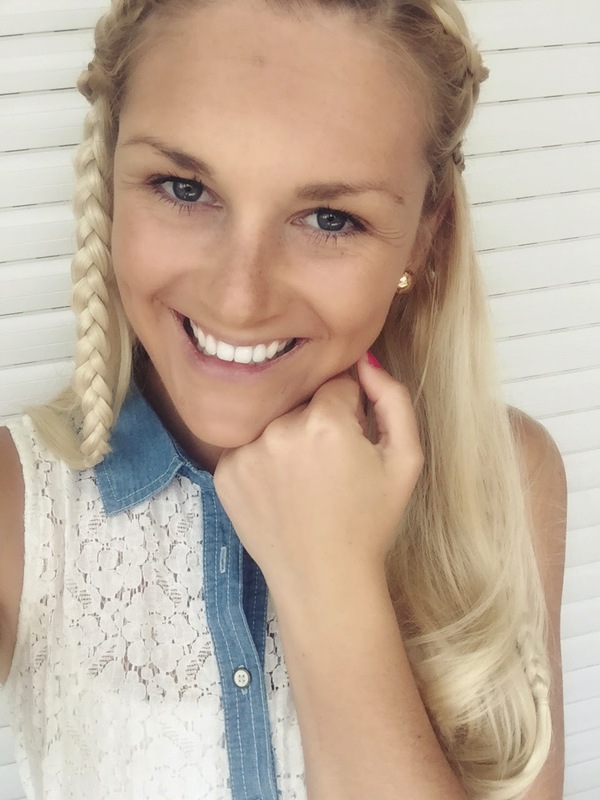 Now that you have two long braids on either side, cross them behind your head and attach the ends to the other side. I was fortunate to have long braids so I could actually stick them inside the loop I created and attach them with a band to the initial french braid. 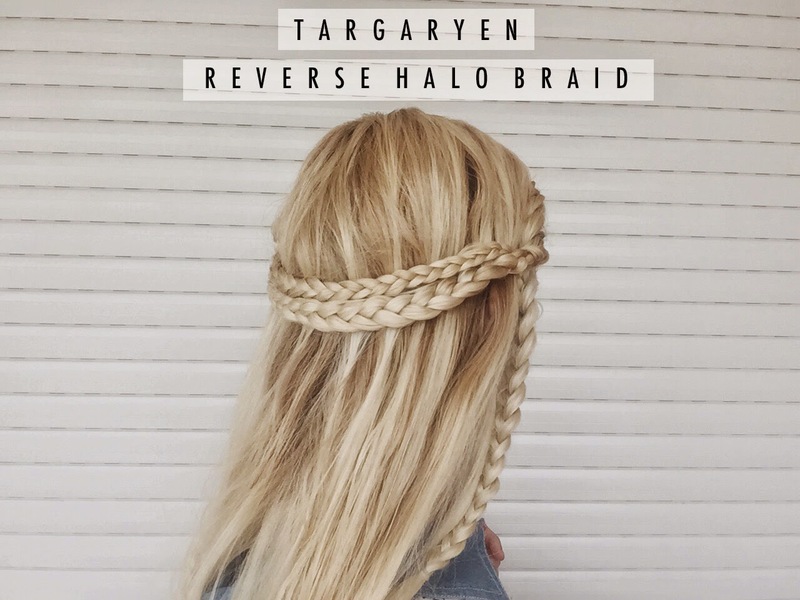 I know this sounds a little confusing, but take a look at the last picture and you will see a shorter braid poking out- this is the end of the halo braid. When in doubt, just push some bobby pins in here and there to secure things. I like the bands because they usually stay in place and you don't have to worry about your hair getting looser over time.